Tucci, Susan M. (DiRaimo), 55, passed peacefully Friday (4/8/16) at home in Coventry. She was the beloved wife of Robert W. Tucci and the daughter of the late John and Pauline (Arndt) DiRaimo. 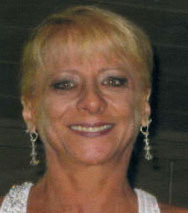 Susan was the Principal Clerk for the Cranston Parks and Recreation for over 25 years. She enjoyed family Boston Bruin hockey, and her cats. Besides her husband she leaves three brothers; John (Sharon) DiRaimo, of Coventry, Kenneth (Beth) DiRaimo, of Cranston and Raymond (Sheila) DiRaimo of Cranston, three brothers-in-law Frederick (Anne) Tucci of Providence, Charles Tucci of Cumberland, Richard (Deborah) Tucci of Cranston and many nieces and nephews. In lieu of flowers please send donations to the Scituate Animal Shelter c/o Scituate Police Department 116 Main St. Hope, RI 02831. Services private at the convenience of the family from the Stapleton Family Funeral Home, 684 Park Avenue, Cranston.